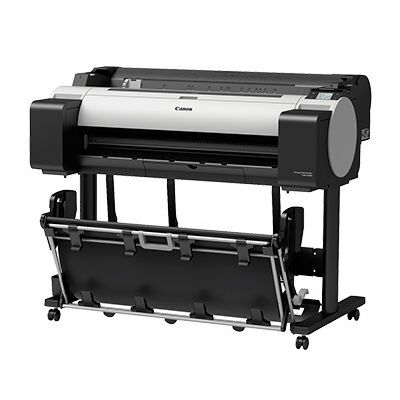 Canon TM-5300 imagePROGRAF 36″ printer features Pigment Ink Technology for UV and Water resistant printing. 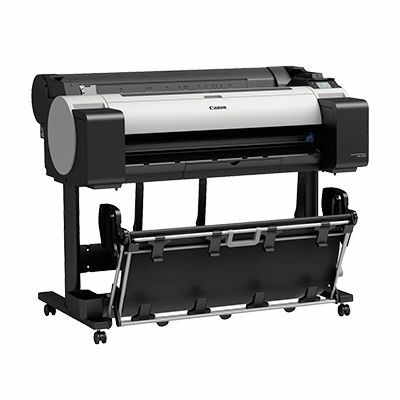 Canon’s new TM series for the first time brings Canon LUCIA ink to the CAD and technical printing market and expands the use of their entry level line up in to the graphics market, ideal for POS applications LUCIA ink offers UV resistance and the added advantage of water resistant prints when used with appropriate medias. 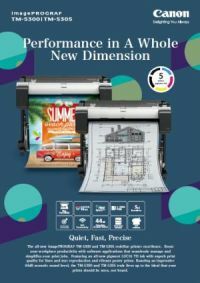 Ideal for taking building plans on site or for short term outdoor poster displays or longer term in store window advertising. 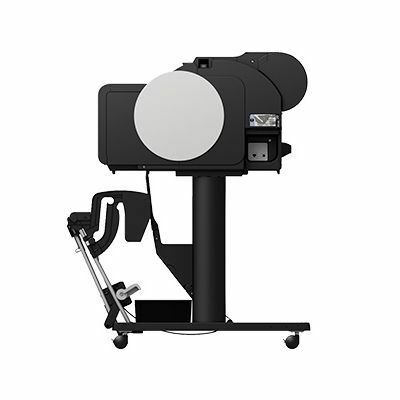 The TM Series employs the all-new five-colour pigment LUCIA TD ink which renders unparalleled detailed precision needed for CAD/GIS files even on uncoated plain paper . 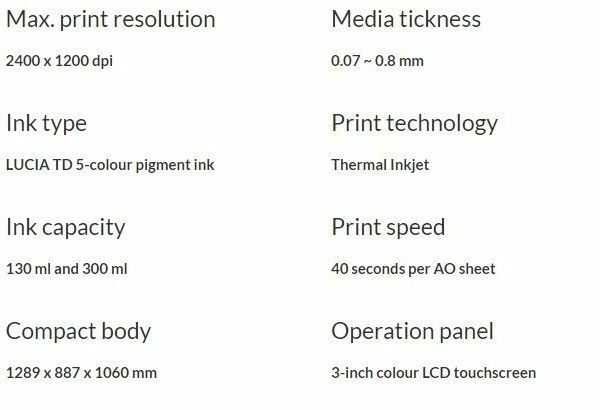 Realise true potential to print vibrant, weather resistant colour posters with LUCIA TD ink. 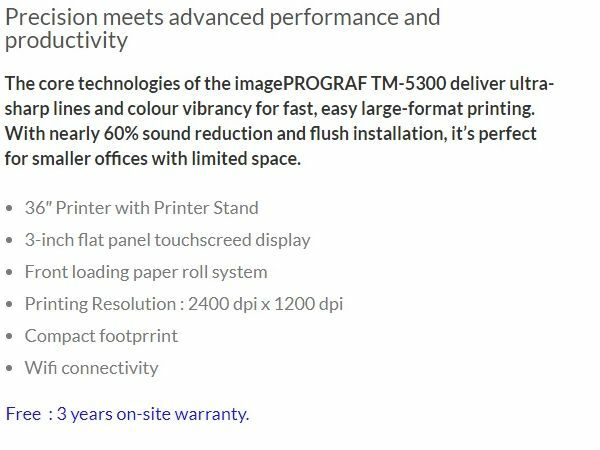 With a new 1.07- inch, 6-channel integrated FINE print head with 15,360 nozzles, the TM Series gives excellent print quality through improved uniformity of ink density and colours. 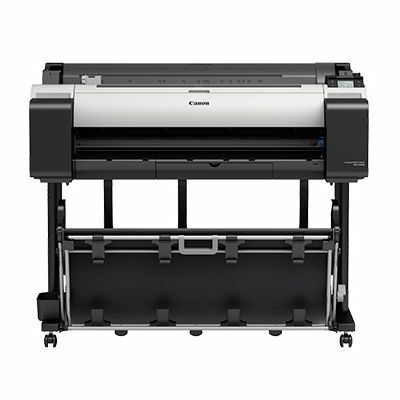 Powered by the L-COA PRO high-speed image processing chips, the TM Series delivers supreme print quality at high speeds even for big jobs.